On this page we announce any forthcoming workshops/conferences and store information from previous events so that it is available to the public. 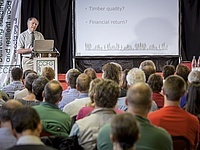 Some useful records of talks and discussions can be found on the pages for individual conferences. A more extensive library of resources is available in the Member’s Area (accessible to members only).